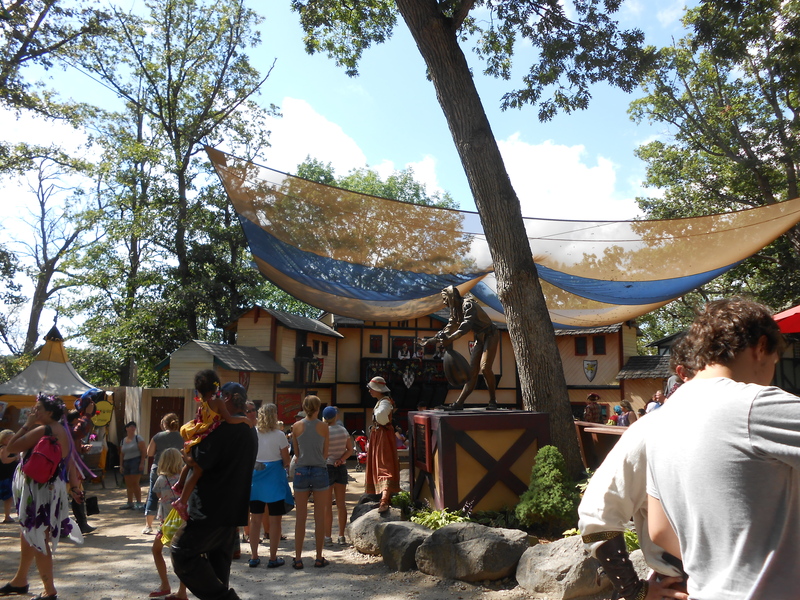 For my last road trip I went to the Bristol Renaissance Faire on the border of Wisconsin and Illinois. We actually passed Six Flags Great America on our way. 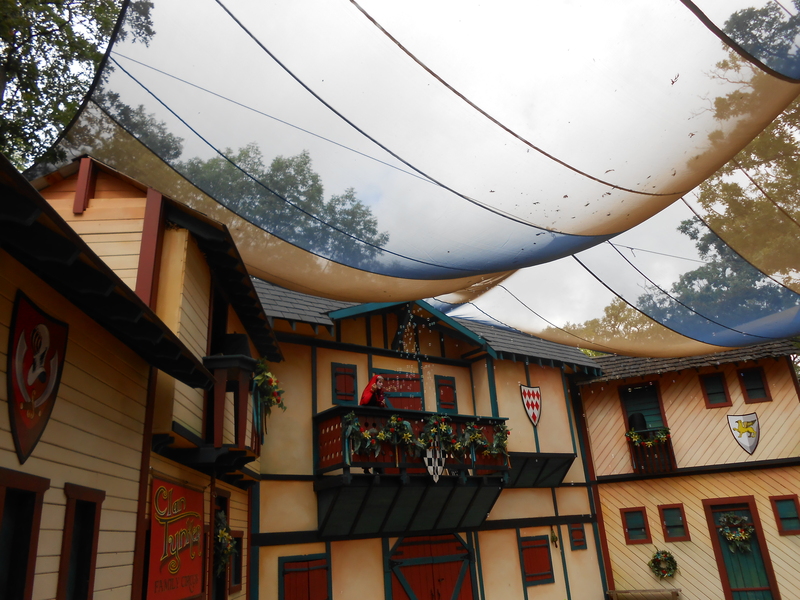 The Faire is open from 10am until 7pm on the weekends from July through September 1st (Labor Day, the only Monday they’re open). My aunt and I left early and got there before they opened. We had to pay for parking but we were closer to the actual faire and didn’t have to walk as far as my cousins and uncle who came later. By getting there early it was cooler and we got to watch their opening performance, which is where they welcome you. The Faire gets pretty packed as they day goes on and I think my aunt and I enjoyed ourselves the most early on in the day, even though it rained. I had purchased our tickets on sale at C2E2 and it was our last day to use them. I have a friend who works at the Bristol Renaissance Faire and since I’d never been she told me that I had to first start off in the morning at the Maypole and then she’d give suggestions. So after walking past people dressed in black, spirits of death, and passed a couple people advertising shows and the pub crawl we ended up at the may pole. Then it poured down raining. 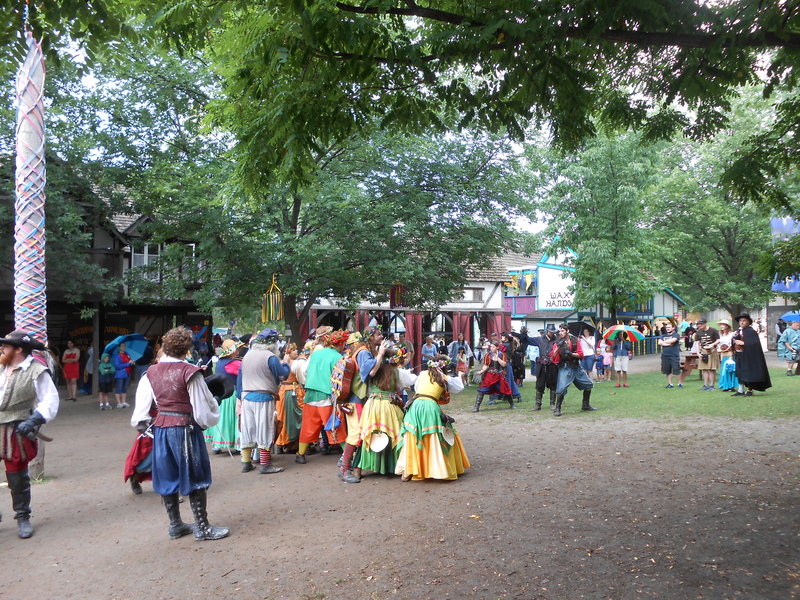 Even if it rains that doesn’t seem to hinder too much of the faire, the Bristol Buck and Frolic that were playing at the maypole stopped and started to sing instead. 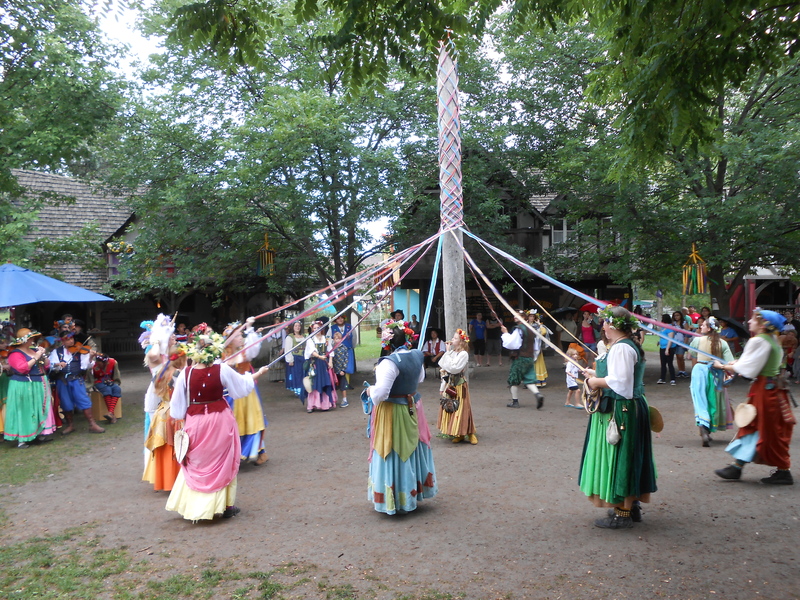 Then when it stopped pouring they began the maypole and playing music. It was fun to watch and towards the end the story began. With a mutiny with just returned explorers. After the fight was over and the Bristol Buck and Frolic began to disperse I found my friend. She suggested a couple different shows, told me where the rest of her performances would be, and suggested saving a couple hours just to look around at the shops. My aunt and I, since she needed some caffeine popped into a cafe, only to find the battle had moved on to the streets right outside the cafe. 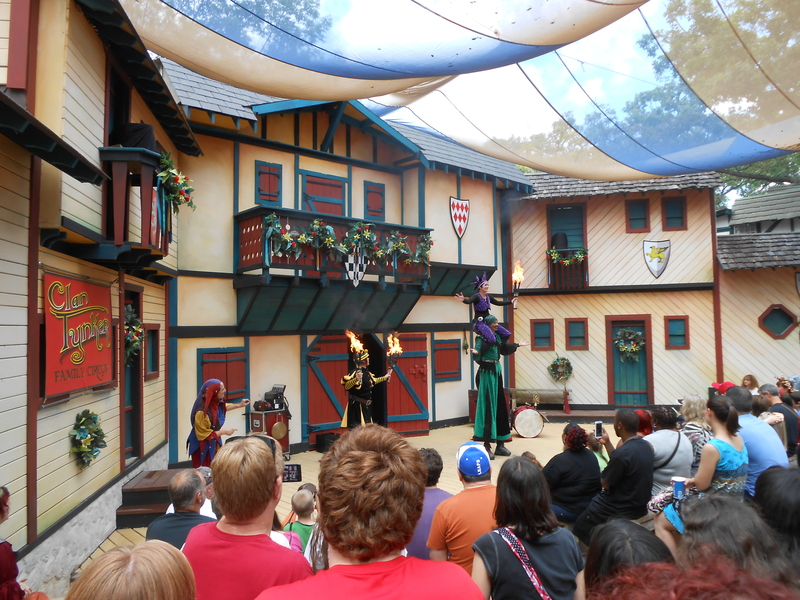 The first show we saw was the Clan Tynker. It’s a family circus. I got it mixed up with a different circus I wanted to see and by the time I realized my mistake it had gotten packed and I had people standing behind me and was a bit stuck on how to get out without blocking the view of all the kids around me. It was a bit over dramatic, but still fun, a little too over dramatic for my aunt who left before it got too crowded. We stopped for lunch. The line for Fish n’ chips was huge, so we skipped that and headed over to the calzones and Shepard’s pie. Right next to the shop, in-between it and the next was a little alcove to sit, so we picked a spot in the shade and ate. 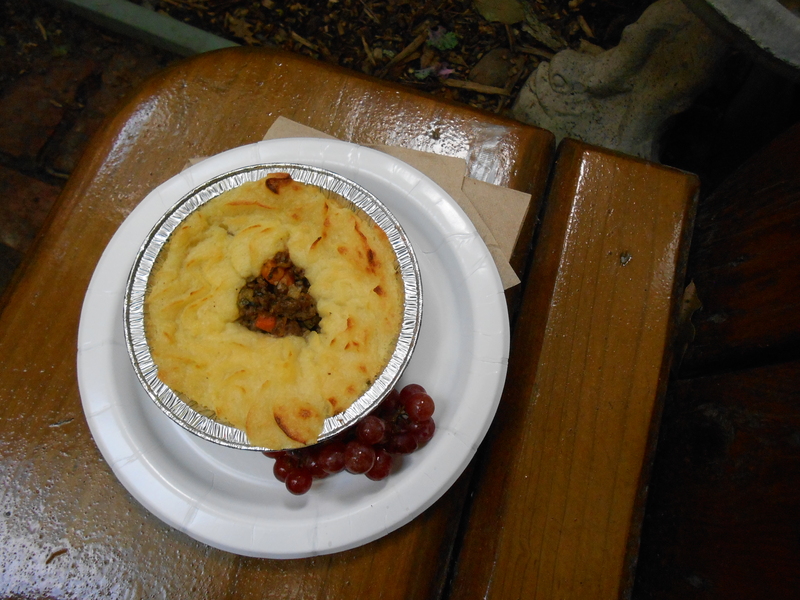 I love Shepherd’s pie and greatly thought it was a good lunch. Eventually my uncle and cousins showed up and we all met up, but I separated from them because my friend had suggested the MooNIE the Magnificent magic show. I managed to rush back in time to catch the end of it. The area around the stage was packed and MooNIE managed to get across what he wanted with whistles and gestures, so even far away in the back I could understand what was going on. I found the show amazing and hilarious and wish I had been able to catch it from the beginning. Afterward the show ended I ran off to catch up with my family and by the time I got to where they told me they would be they were where I had just been. So I gave up looked around. 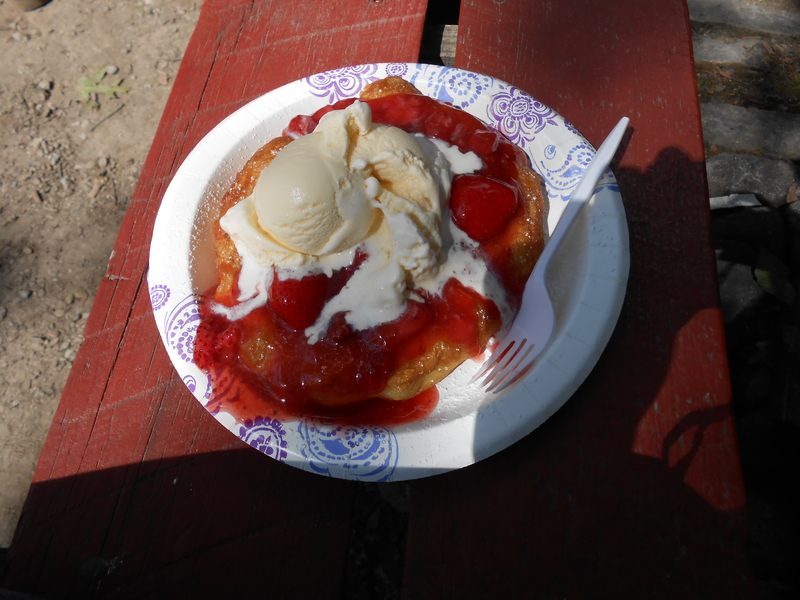 There had been a couple different places I had wanted to stop in and since they were sitting and eating on the other end of the faire I figured I had time. So I looked but couldn’t find the shops I was looking for, a shop that sold glass pens was the specific one I wanted. Unable to find it I popped into the bakery, and left with a strawberry pippin with ice cream. It was way too much for one person, but by the time I went back to where they were eating they’d moved on, so with a melted strawberry pippin I sat where I had sat for lunch, in the shade by the Shepherds pie shop and ate my pippin. A Pippin is a simple pastry, but I bought it because I had just finished a marathon of the Lord of the Rings and was enjoying all the references around the Faire. 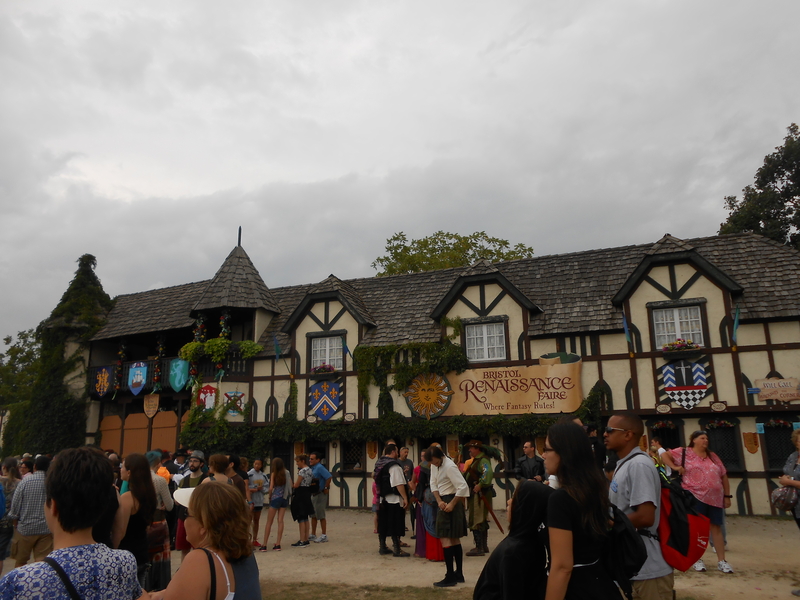 I did eventually find my family, they were watching the jousting. On my way I saw a petrified florist and stopped in. It was filled with metal roses, all scented. The faire was filled with flowers, flower crowns of every color, little flower shops also selling flowers of every color, and I’d been tempted to buy one but when I realized these scented flowers would last longer and wouldn’t die on me I picked one out. When I met up with my family we sat on the hill in the sun watching the joust and then moved on afterwards to test our skills at archery. Archery and other games similar in sort, like battle axe throwing, are the cheapest event at the faire. After that everyone was pretty exhausted so we slowly meandered home. The Faire itself is great. My friend said in order to fully experience every part of it you need to go about eight times, because there are so many different story lines going on and shows to see. I never did get to see what happened with the end of the mutiny, or about the new mayor. The are different faire’s like this one, but some of them have stricter rules for dressing up, some don’t allow fantasy or steampunk, but this one allowed it all. I saw guests dressed up as characters from video games that still fit into the world, and because we went on the first day back at Hogwarts, we saw people wearing Hogwarts robes with wands, who apparently decided to skip the train. Everyone was having a ton of fun, I saw kids dressed up as princess and princes, we saw the parade of the royal court with the Queen go past, we passed the pirates ship and walked under the cobwebs of the fairy glen, passed knights and all sorts of different places to get our palms read, our fortunes told and hair braided. 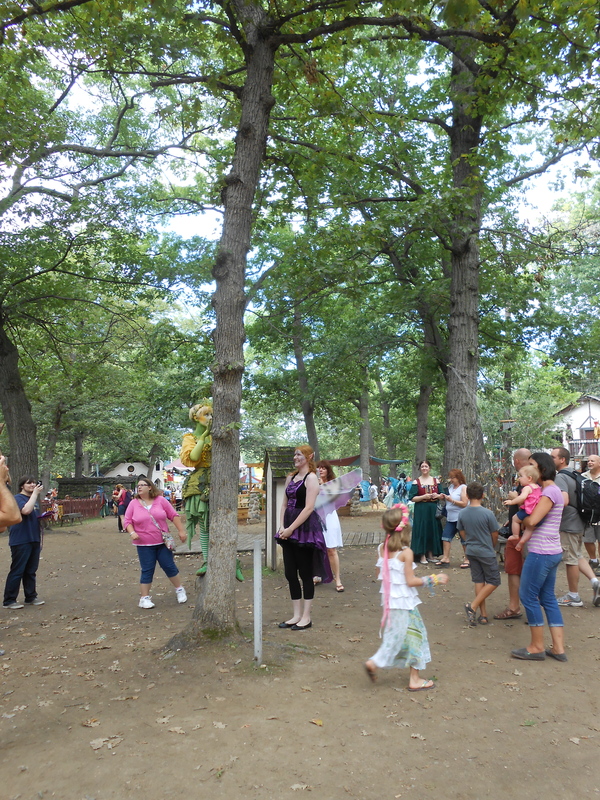 If you’re going in a group it’s easier to have a plan so you don’t end up separated or lost, to wear light clothing, or a light costume because even though the faire happens mostly in the woods it gets really hot and packed later in the day and bring cash. There’s lots to see and do and I’d love to go back and see the rest of the stories.